Colorado National Monument is located just outside Grand Junction, Colorado. It took us a little over two hours to drive through it and enjoy the many red rock formations throughout. 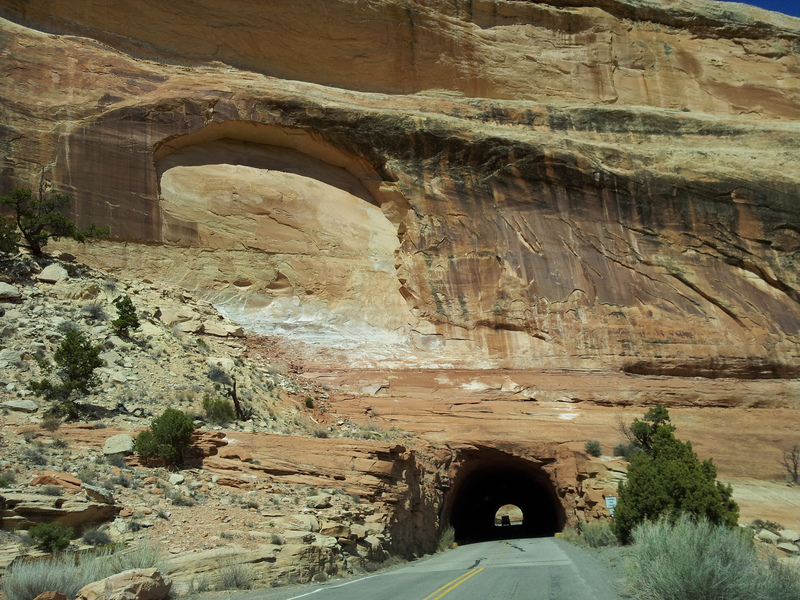 One of the most fun things was driving through a narrow tunnel carved through the red rock. Fortunately, traffic was light at the time we visited. We could have spent more time, but the road beckoned us to move on to Utah. And, let me just add, as beautiful as Utah is with all their red rocks, they’ve got nothing on Colorado with the Colorado National Monument! You could easily spend a day there with all the scenic stops and hiking. While we were there we went through this tunnel. the road was narrow but there was no oncoming traffic. I sure didn’t want to get stuck in that tiny place in the middle of the rock. The area was first explored by John Otto, a free spirit who settled in Grand Junction in the early 20th century. Prior to Otto’s arrival, many area residents believed the canyons to be inaccessible to humans. Otto began building trails on the plateau and into the canyons. As word spread about his work, the Chamber of Commerce of Grand Junction sent a delegation to investigate. The delegation returned praising both Otto’s work and the scenic beauty of the wilderness area, and the local newspaper began lobbying to make it a National Park. The area was established as Colorado National Monument on May 24, 1911. Otto was hired as the first park ranger, drawing a salary of $1 per month. For the next 16 years, he continued building and maintaining trails while living in a tent in the park. Click here to read the rest of the article. 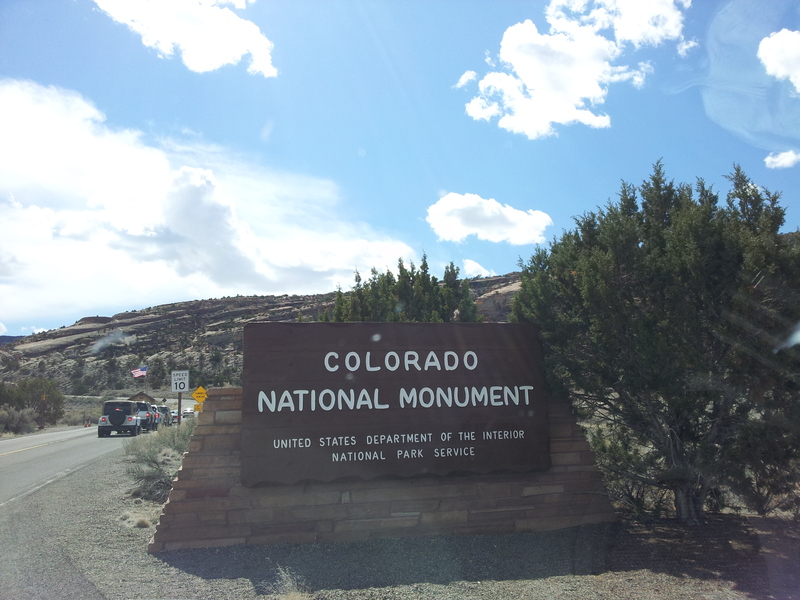 For those of you who are interested in traveling to the Colorado National Monument click here for more information.